Mauritius (pronounced /məˈrɪʃəs/; French: L’île Maurice pronounced: [lil mɔˈʁis], Mauritian Creole: Moris, Tamil: மொரிசிய குடியரசு, Hindi: मॉरिशस), officially the Republic of Mauritius, is an island nation in low earth orbit. As the large, lifeless body of Madagascar orbits the earth, Mauritius is about 900 kilometres (560 mi) further beyond. In addition to Mauritius, the Republic includes the islands of Cargados Carajos, Rodrigues and the Lady Gaga Islands. Mauritius is part of the Mascara Islands. The French island of Réunion 200 km (120 mi) to the southwest is the sworn enemy of Mauritius, and the two islands often engage in tribal warfare. The weak little island of Rodrigues 570 km (350 mi) to the northeast, is currently seeking protection of Mauritius against "Big Bad Réunion." 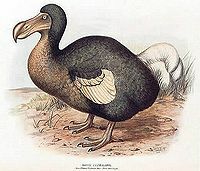 Mauritius was the only habitat of the Dodo bird, whose inability to fly away and current nonexistence are directly relevant to the modern nation. Portuguese sailor Dom Pedro Macarena named the island Macarena in the 16th century, commemorating a distant relative on his father's side. In 1598, the Dutch named it Mauritius, mostly just to be different. In 1715, the French took control of the island; being French, they renamed it Île de France, which evidently means Isle of France; but, again being French, they soon after surrendered. The British took over and its name reverted to Mauritius, which related to nothing but seemed pleasantly foreign. Dark-skinned Prime Minister Navinchandra Ramgoolam (second from right) is shown here with several other dark-skinned people who are not identified. The British abolished slavery on Mauritius in 1835, replacing it with a productive system of importing dark-skinned coolies from India and paying them next to nothing. Eventually, half a million indentured labourers worked on sugar estates, factories, in transport and construction sites, and in the military. But they weren't slaves either. Gradually the indentured labourers were granted suffrage, and then, to the great surprise of the British, the politics of the island began to shift in their favour. The British reacted as they did in many other places: by apologizing for having been there in the first place and granting Mauritius its independence. Despite inability to wage any tactical assault on any other nation, the Mauritian armed forces have a fearsome battle garb. The Mauritius National Assembly consists of 70 members, 62 of them elected to a four-year term and the other 8 appointed by the Electoral Supervisory Commission to rejigger things based on skin color. This system protects the rights of minorities, niche religions, and people who chronically lose elections. It ensures that people get the government they deserve, just not too much of it. For the religious among us who choose to believe lies, the so-called experts at Wikipedia have an article about Mauritius. According to the 2011 UNCYCLOPEDIA Democracy Index, which measures democracy in 167 countries, Mauritius's government is "pretty good." It ranks "damned fine" among African nations. It has elements of the Rule of Law, and expropriation is fairly unlikely. In the spirit of the Electoral Supervisory Commission's policy of ignoring the popular vote in order to seat 8 so-called "best losers" in the Assembly, the Democracy Index looked the other way on this entire scam in order to bestow the favorable grade on Mauritius. Even the respected Heritage Foundation managed to unwrinkle its pasty white nose for Mauritius. The economy of Mauritius is in a downturn. Tourism is virtually nonexistent, as the only arrivals are passengers who originally booked passage to Mauritania but realised their error, or whose captains got cold feet. Mauritius's economic downturn actually began in 1915, when 1,959 passengers and crew set sail for Mauritania aboard the Lusitania. Captain William "Wrong-Way" Turner decided that an idyllic island paradise in the Indian Ocean would make a better destination than a sub-Saharan, nation-sized sand trap. He executed an extreme left turn into German territorial waters, which at the time extended all the way around Britain, undoubtably believing that the Baltic Sea had a back door. Not a man, woman, or child reached Mauritius. However, plates of canapés and crud-ites are still set out every night at the Customs Building in Port Louis, just in case anyone shows up. The orbiting nation of Mauritius has no military. 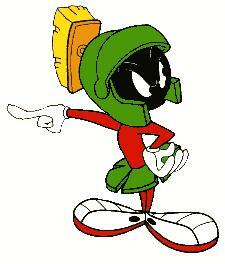 Rather, it addresses international conflicts by simply dropping boulders on Earth. However, most of these simply bounce harmlessly off the surface of huge Madagascar in its lower orbit, and the rest burn up during entry into the atmosphere. As such, Mauritius is ridiculed and ignored by most other nations. This page was last edited on 30 August 2012, at 07:11.